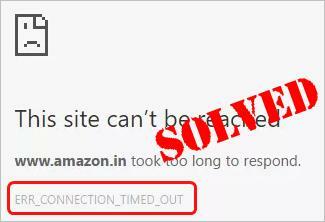 ERR_CONNECTION_TIMED_OUT is a common and nagging error in Google Chrome. It means the server is taking too much time to replying. As a result, you fails to search on Chrome. That could be super frustrating. But don’t worry. You’ll be relieved to know it’s possible to fix. Work your way down the list until you find the one that works. Before we go, please make sure the server you want to open is exist. 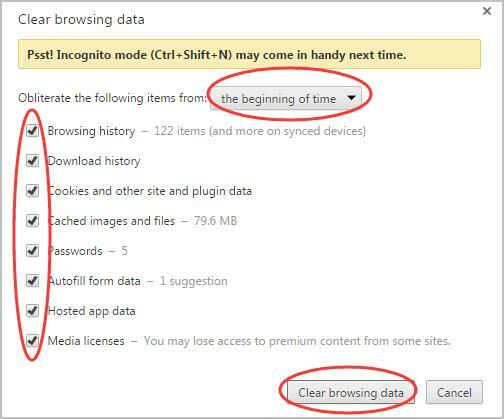 Time by time, your Chrome may save all browsing data such as cookies, app data, cache files, etc. which may cause Err_Connection_Timed_Out error. 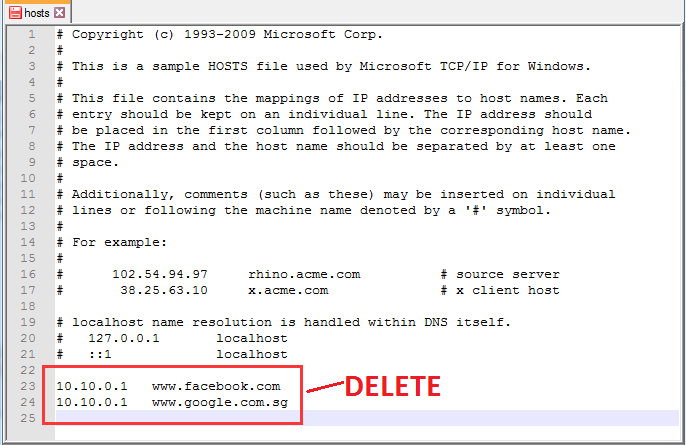 So follow to delete the browsing data from Chrome browser. 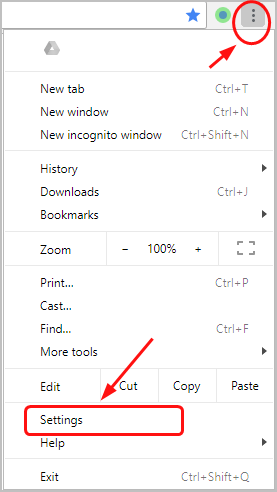 1) On the top right of Chrome, click the More options icon, then select Settings. 3) Choose the beginning of time as time period from the drop down menu, tick on all items, then click Clear browsing data. Then click Clear browsing data… under Privacy. Note: If there isn’t just one website occuring Err_Connection_Timed_Out error, skip this step. If there is any IP address and website URL added to block in hosts file, it might cause some other websites to get blocked as well. 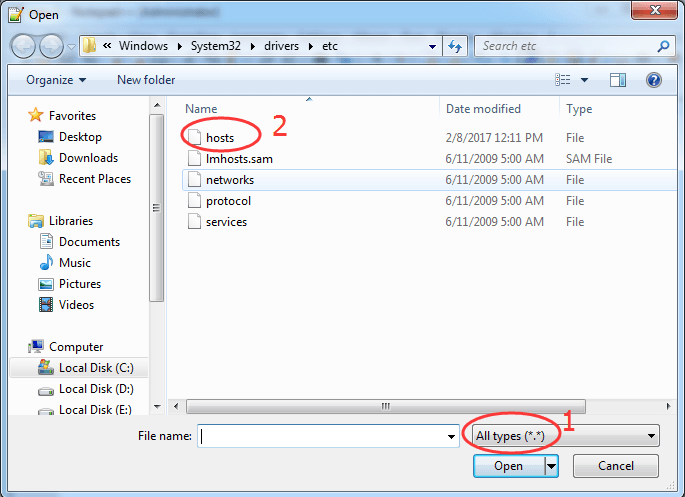 Therefore, we should check Windows Hosts File. 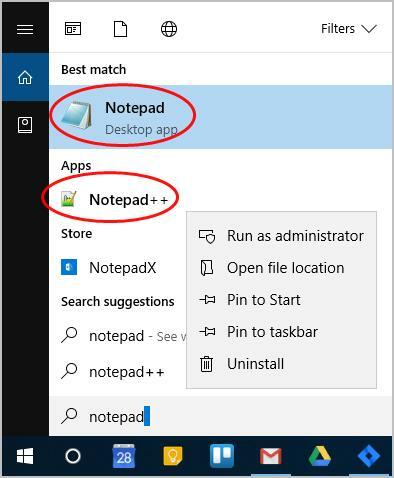 1) Run Notepad as administrator. If you’ve installed Notepad++ on your computer, we recommend that you use Notepad++ instead. When prompted by UAC, just click YES to go on. 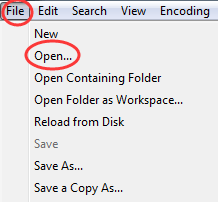 2) Click File on top left of Notepad window. Then Click Open. 3) Select All Types from drop down menu at bottom right. Then double click on hosts. 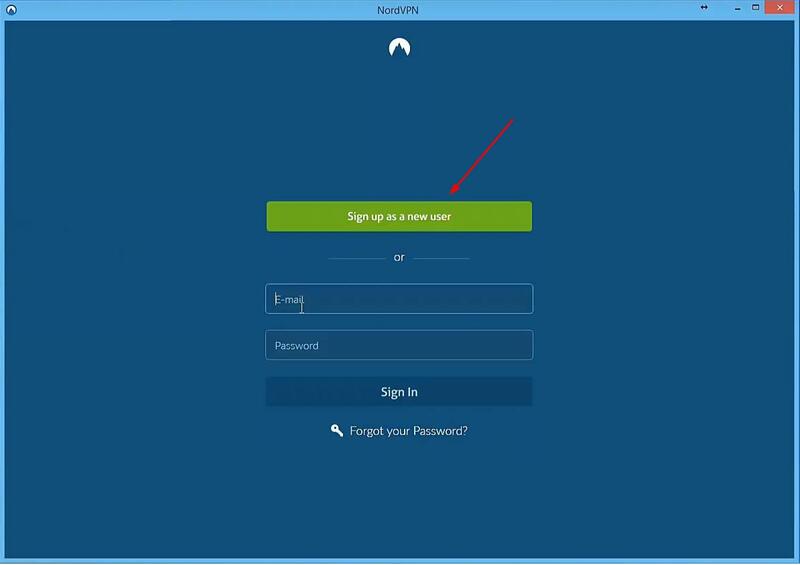 4) Check if there is any website address or IP address after the last # sign. If yes, delete all of them and save the change. 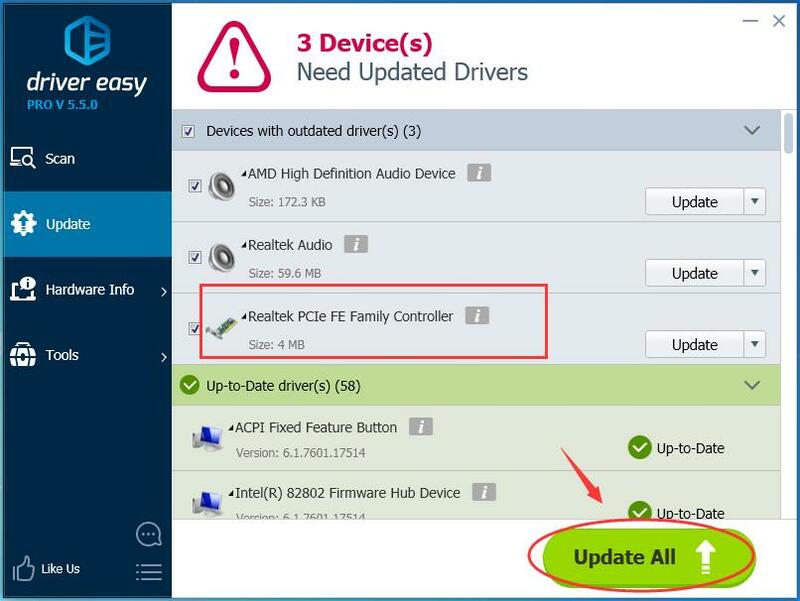 Sometimes our computer’s internet setting changed by virus, therefore we should adjust it back to solve ERR_CONNECTION_TIMED_OUT. 1) Open Control Panel. 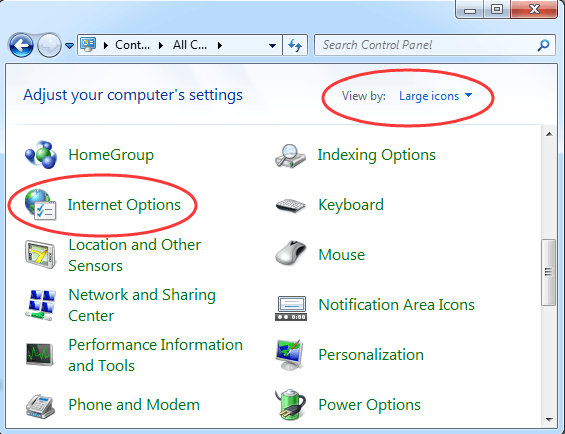 Then click Internet Options with choosing View by Large icons. 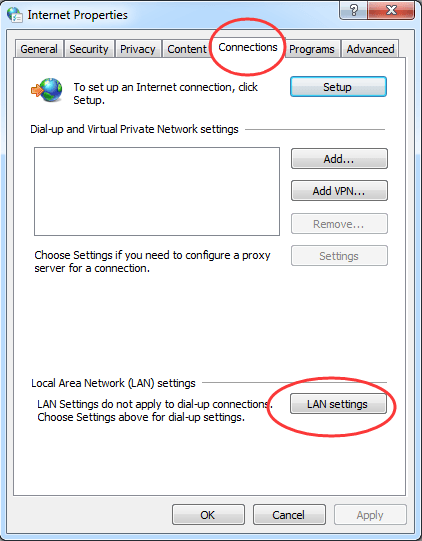 2) Click LAN settings under Connections pane. 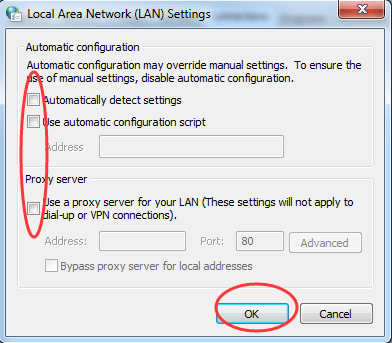 3) Make sure all the items are unticked, then click OK.
ERR_CONNECTION_TIMED_OUT can be also related with DNS and IP, so we should flush DNS and renew IP address. 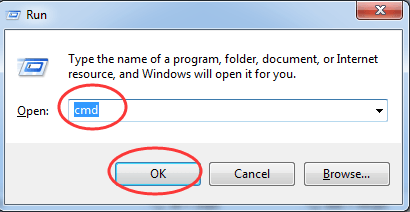 1) On your keyboard, hold down the Windows logo key and press R to invoke a Run box. 2) Type cmd into the box and click OK.
3) On the pop-up Command Prompt window, type the following commands and press Enter after each one. When it’s done, close the command prompt window. 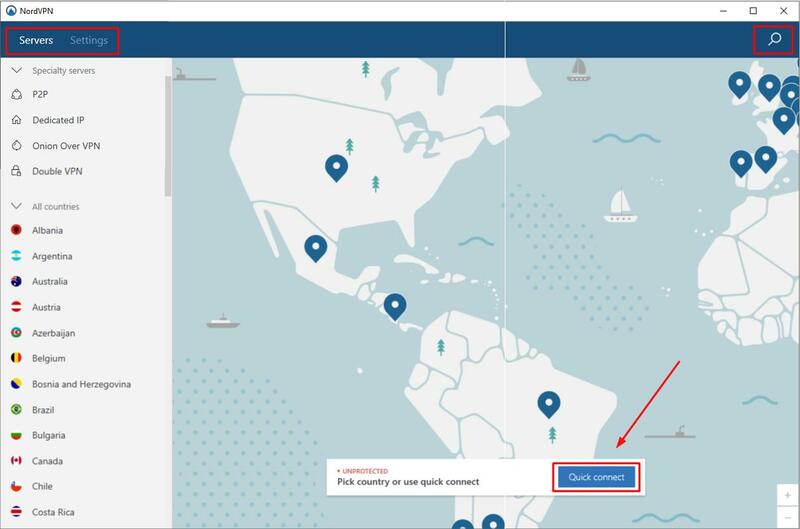 VPN(Virtual Private Network), extends a private network across the public network your devices connect to. 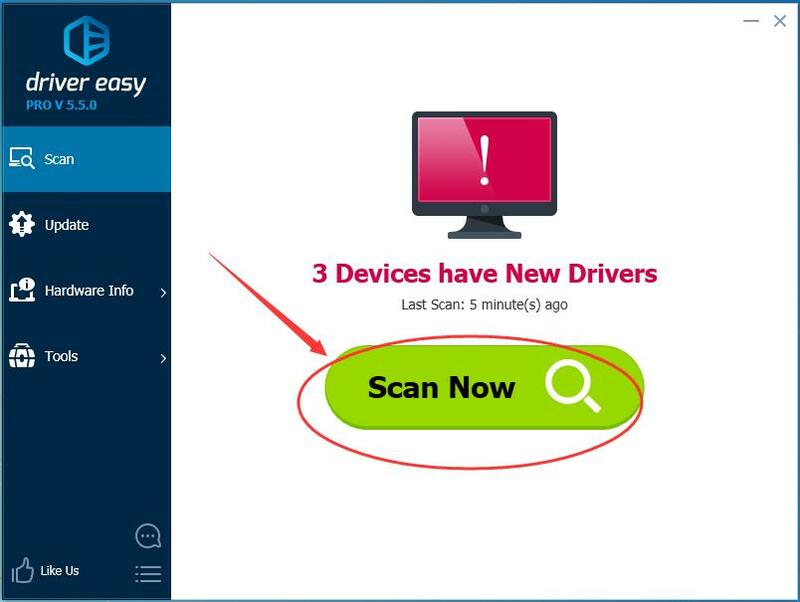 It helps bypass the Internet connection through your ISP(Internet service provider) and anonymously connects through dedicated DNS servers. With a VPN, you may probably solve the ERR_CONNECTION_TIMED_OUT error. Hopefully this article helps you fix the problem. Feel free to comment below if you have any questions.